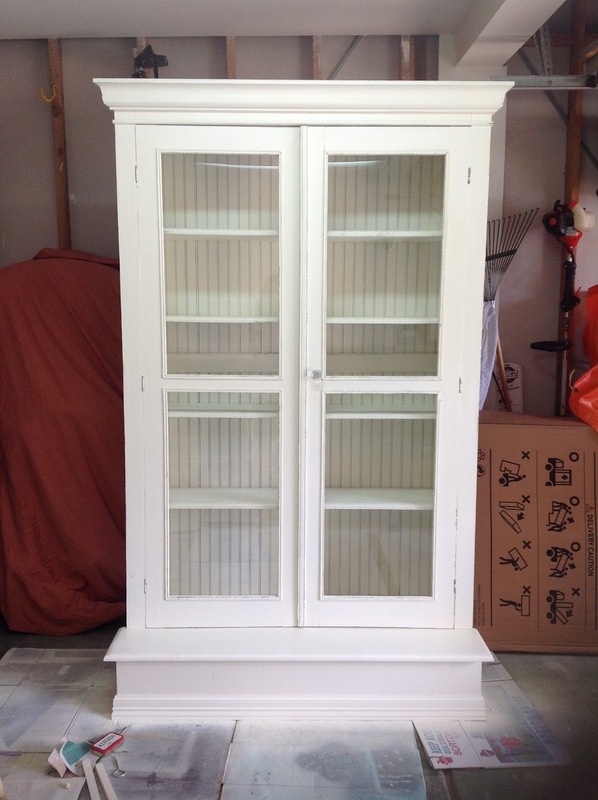 After buying an old handmade wooden cabinet for $25 that obviously had a history, I did some research before transforming it and giving it new life. I learned a few things about true farmhouse furniture that I found helpful in determining the new look this piece was gonna get, and I wanted to pass those lessons onto y'all! because they take boring, dilapidated, or down right ugly homes and make them Farmhouse Chic. 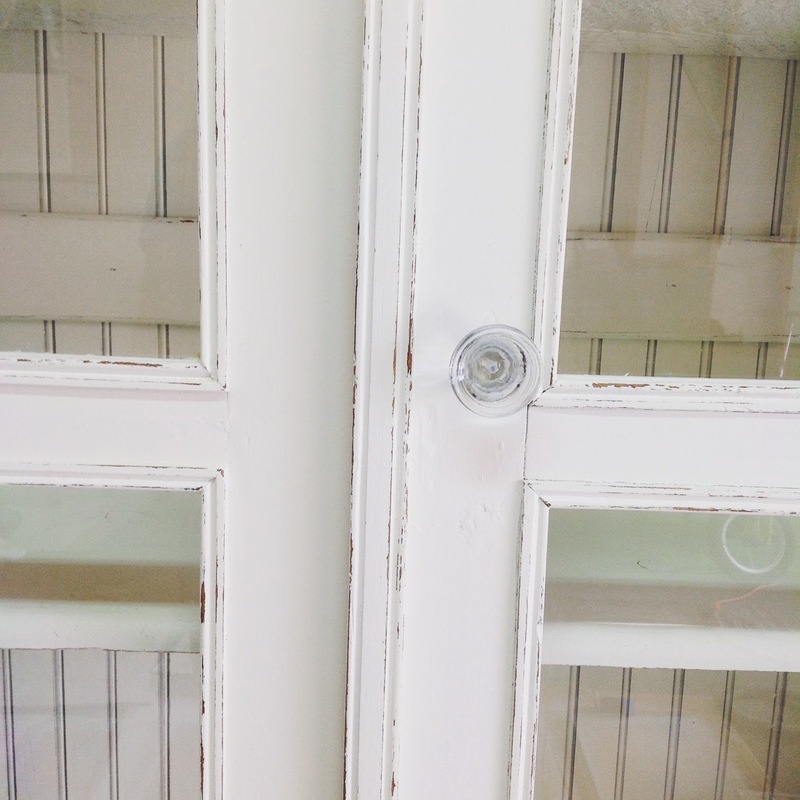 Being a mom to four boys I definitely embrace the shabby chic look because anything in my home is gonna be turned shabby whether I like it or not. Instead, if my furniture is made to look shabby my boys effect on our furniture is only helping it age better. So this is what I learned about what how authentic farmhouse pieces came to be and why, and this knowledge allowed me to duplicate it, (which y'all know will be helpful with all of those 1980's pieces that need some chic added). Paint it white: Do you know why farmhouses were painted white? Because adding tint to paint back then was an added cost. Yep, the paint store, or most likely the local general store, had to charge for the colored tint, so when painting a house many farmers went the least costly route. Everything was handmade: No Target or IKEA are you crazy? Yep, furniture, clothes, decor, and pretty much everything was handmade. Of course there were simple stores back then, but again everything was a lot simpler. 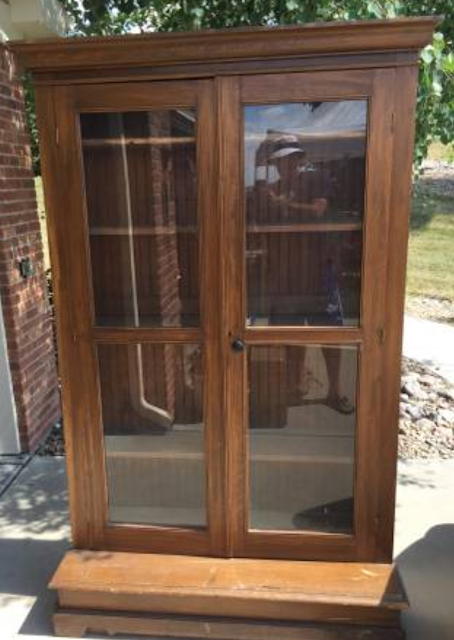 Just like the handmade cabinet I bought, many farmers had been passed down handyman skills to construct barns, hutches, and other furniture pieces, thus making everything unique with a lot of character. They used real wood: Back in the day wood was the go to product. No plastics or other materials to use were invented yet and so everything was solidly built. Plus they took from what was around them, and that was the land. Thus, if you have a piece of furniture that is made with wood you already have your first necessity in transforming it to Farmhouse Chic. If you are going to paint it you're gonna go with white (see #1) and then you'll distress it to let the wood show through as any authentic farmhouse piece would naturally do with age. And there you have it. 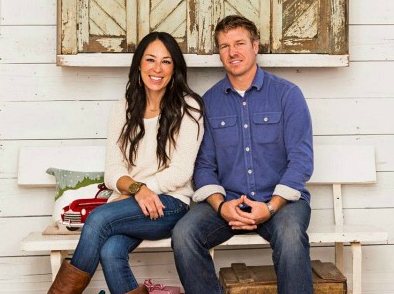 The key fundamentals to achieving the Farmhouse Chic look. For $25 I scored this awesome (massive) cabinet. Most of it was original and was most likely made by a farmer to store household items in the early 1900s. Everything from plank-like shelves, to a unique way those shelves stayed up, to handmade beadboard, this piece was well made but had been through some rough times and needed some love. As much as I didn't like the step in the front, it was necessary for providing stability to this almost 7' cabinet. When I got it it the step was in bad shape and needed to be completely removed. My friend Diana and I then built a new step using some wood we had on hand, her nail gun, and then added some decorative molding I had leftover to make it match the look of the rest of the cabinet. After a few other structural repairs, we prepped it for painting. 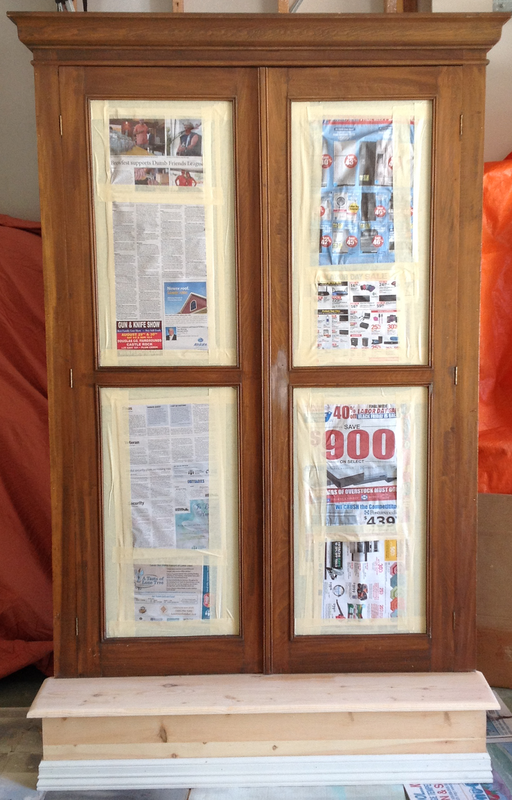 To prep for painting, Diana put newspaper to cover all of the windows, I cleaned it well with soap, water and TSP substitute as well as gently sanded the entire piece with 220 grit sandpaper for the paint to adhere well. Then I sprayed it with an off white concoction I made with leftover paint I had on hand. A true white would have been great too, but as white ages it yellows with time and thus I chose to "antique" it with the addition of a little cream. I used my handy Wagner Control Spray Max (a true lifesaver). To finish off the look of the time I added a resin knob from Hobby Lobby (that resembles glass) since glass knobs were common in the 1800s and early 1900s. It even had the date 1858 on the knob which I thought was a nice touch. Thanks Hobby Lobby for having an awesome selection of knobs and pulls. I also used 150 grit sandpaper to distress the piece and finish off the aged farmhouse look. I thought about going over these parts with wax to prevent further chipping, but decided against it since that would only make the piece even neater. So what do you think? Fun right? Love getting unique pieces with history. 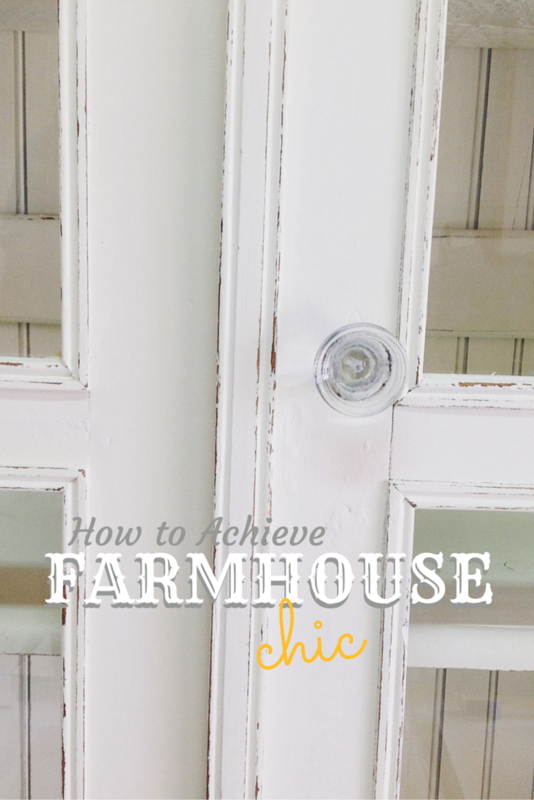 Are there some other key things that are important to know when going the "Farmhouse Chic" look? I probably forgot many so please share! 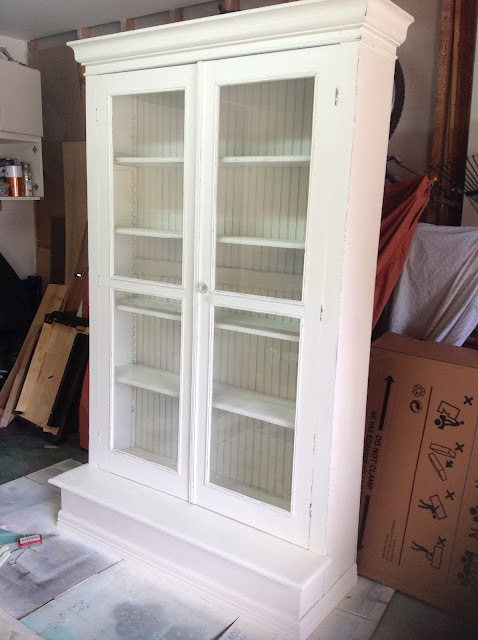 Also, if you have given a piece the farmhouse look please share those before and after pics too!